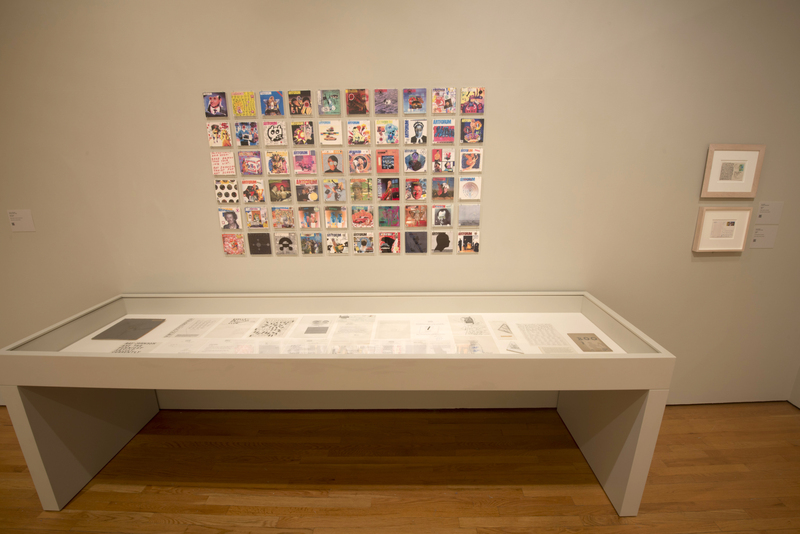 Installation photos by Peter Jacobs. 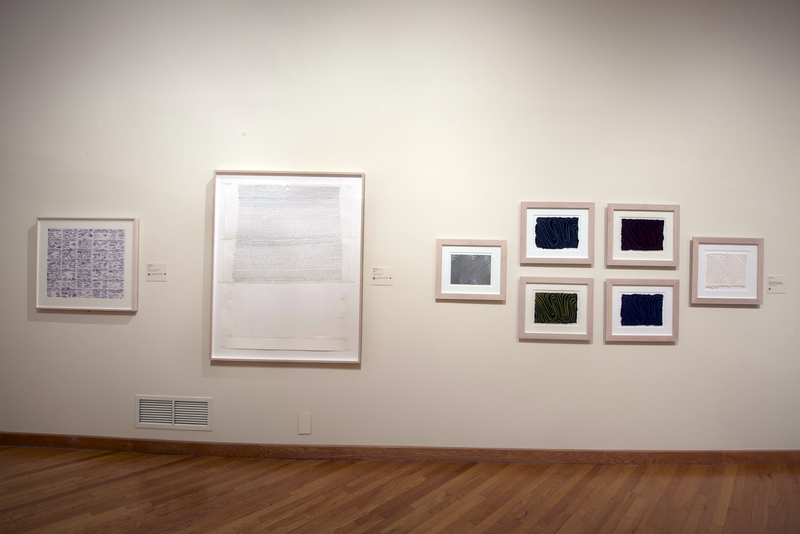 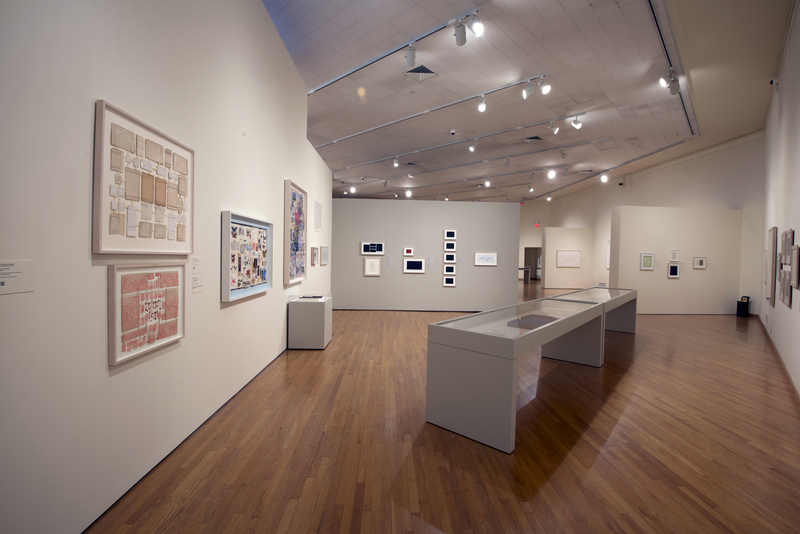 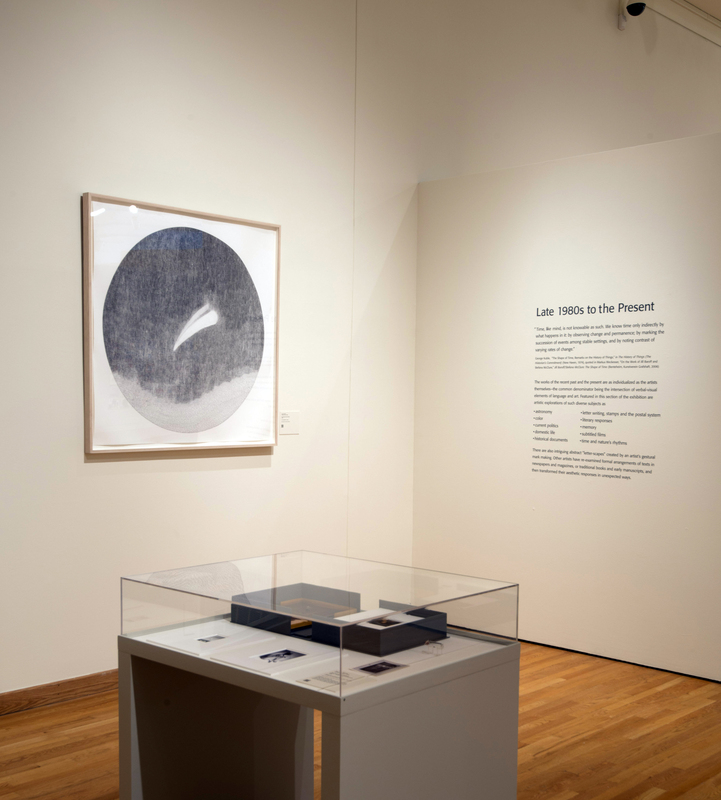 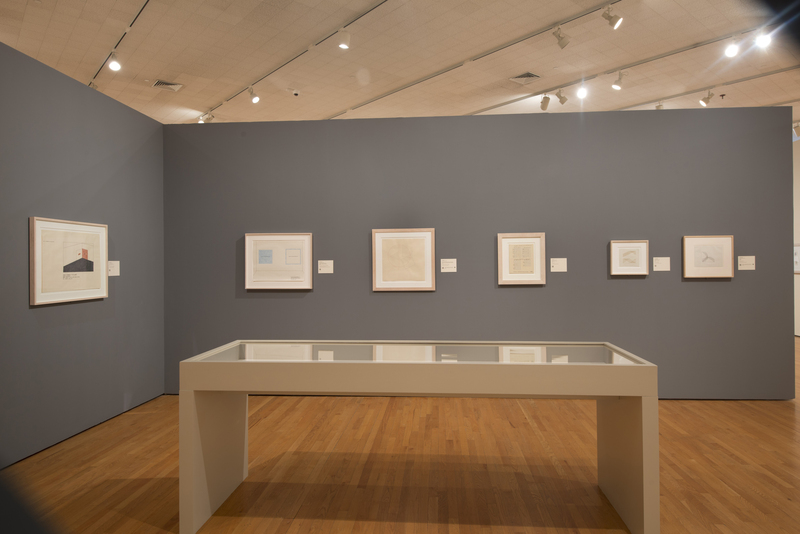 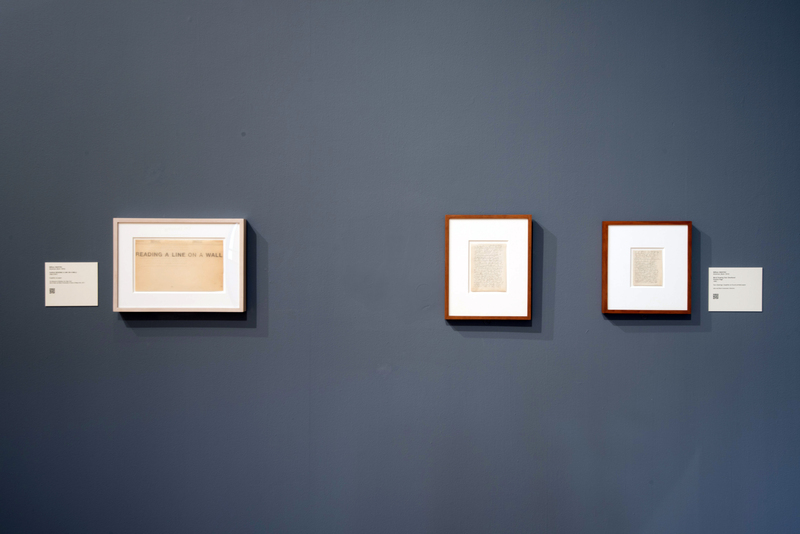 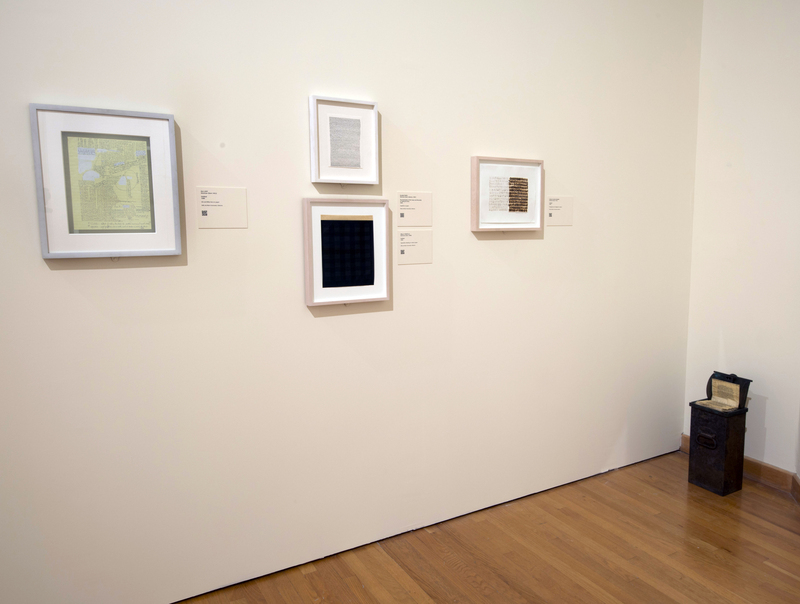 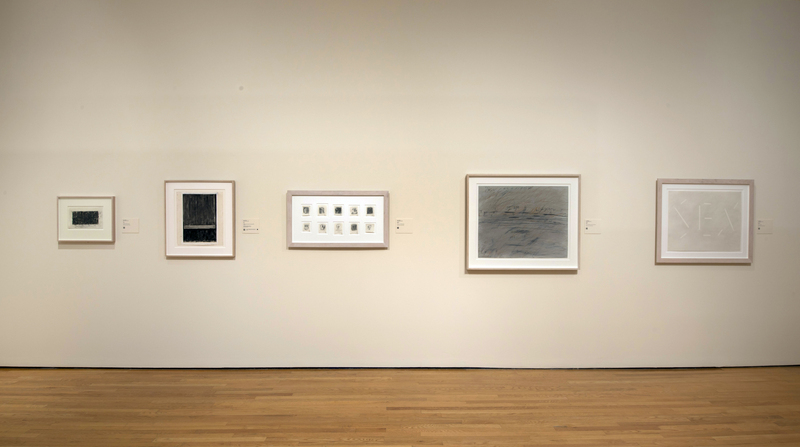 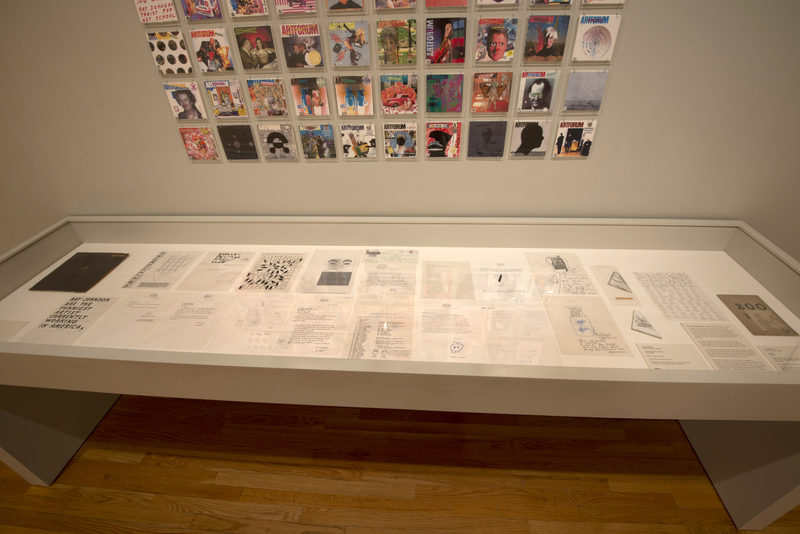 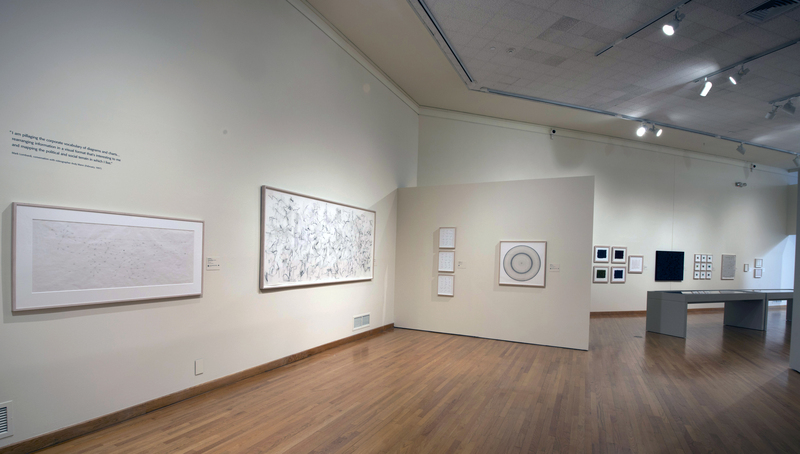 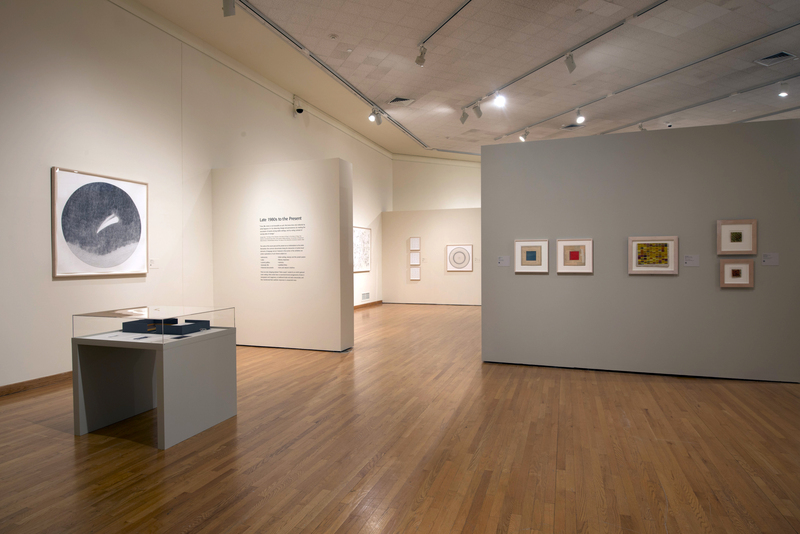 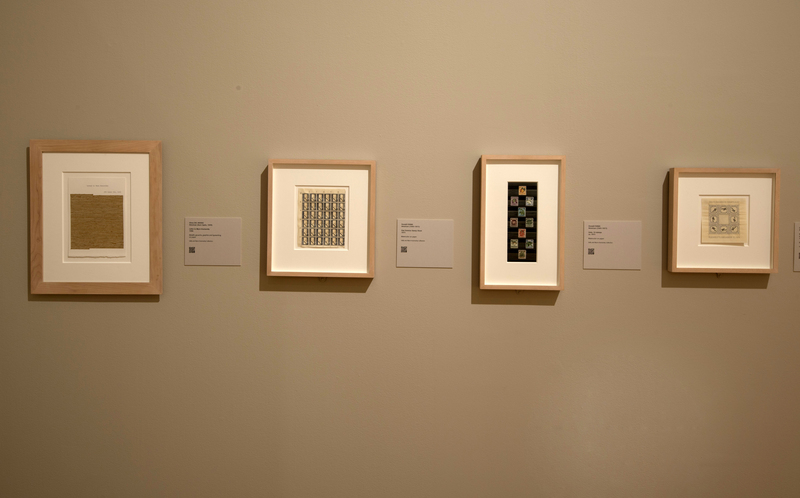 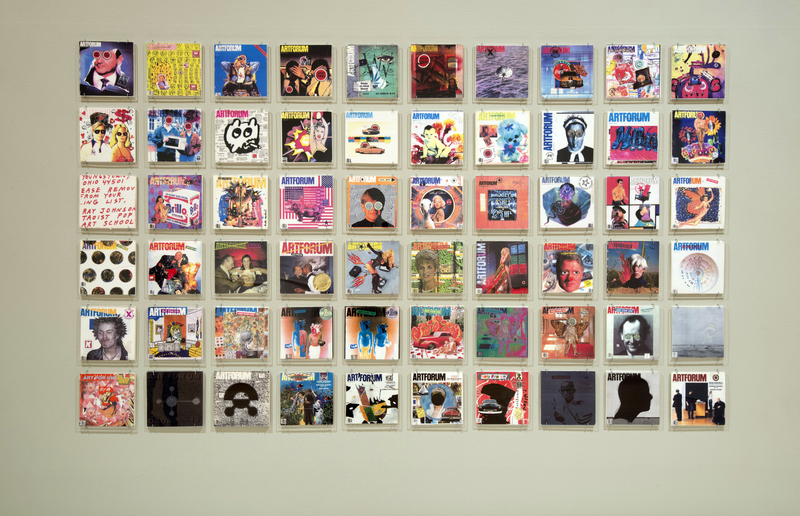 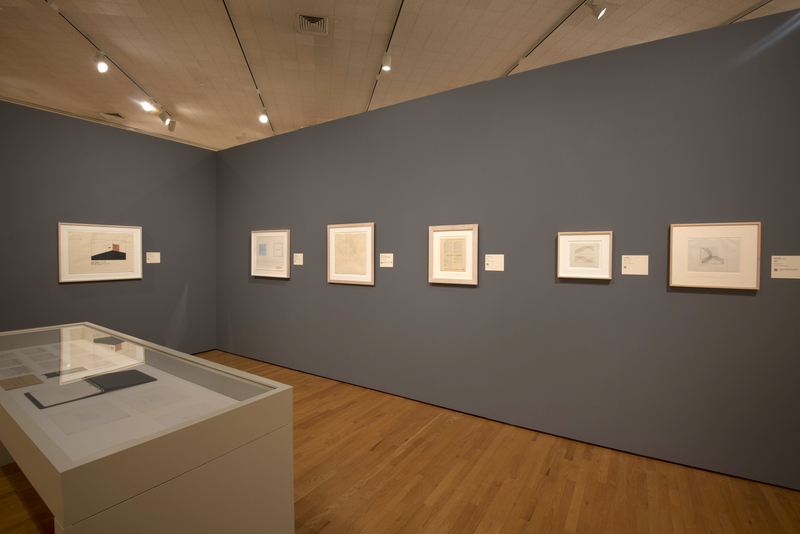 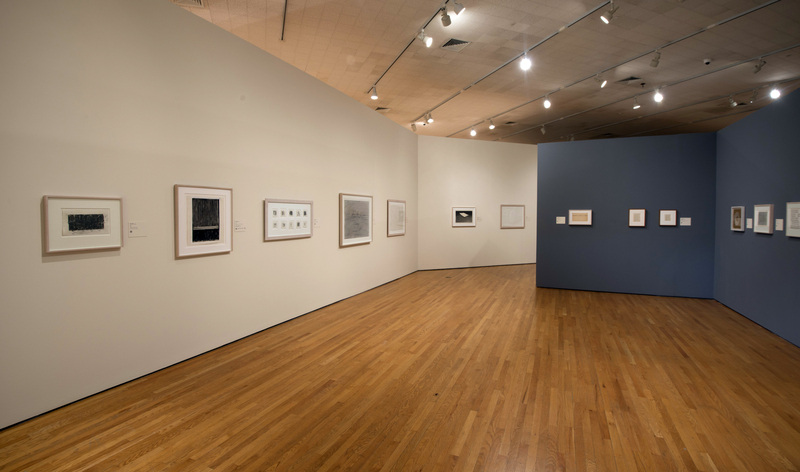 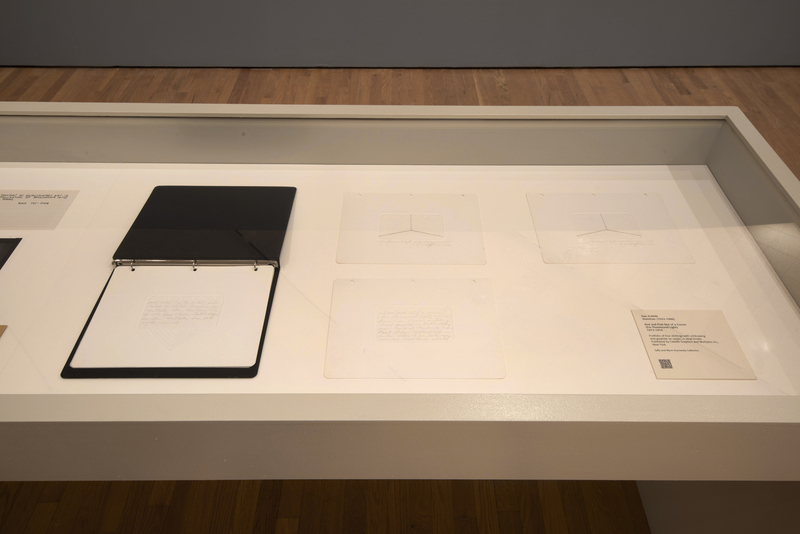 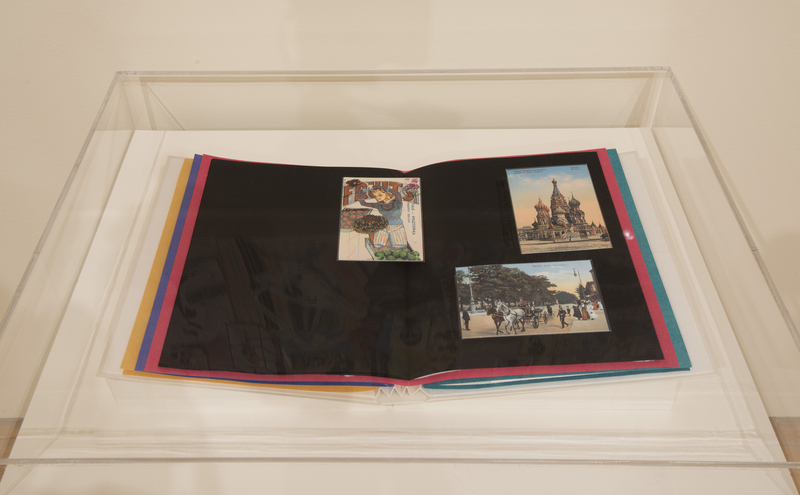 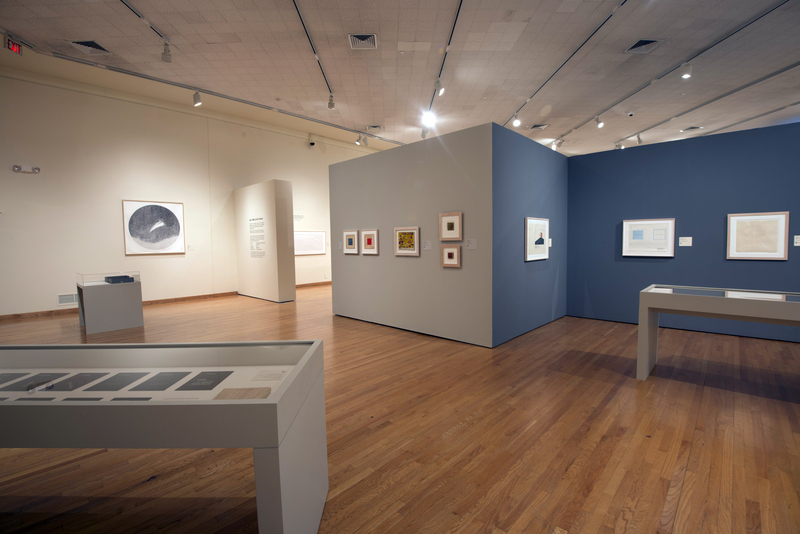 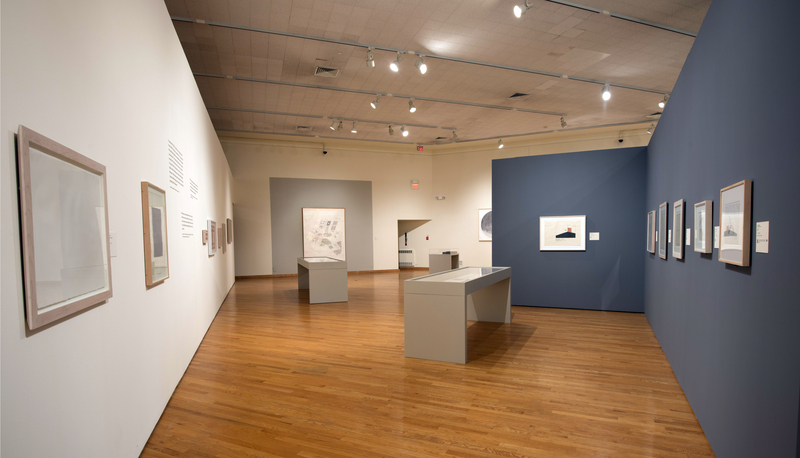 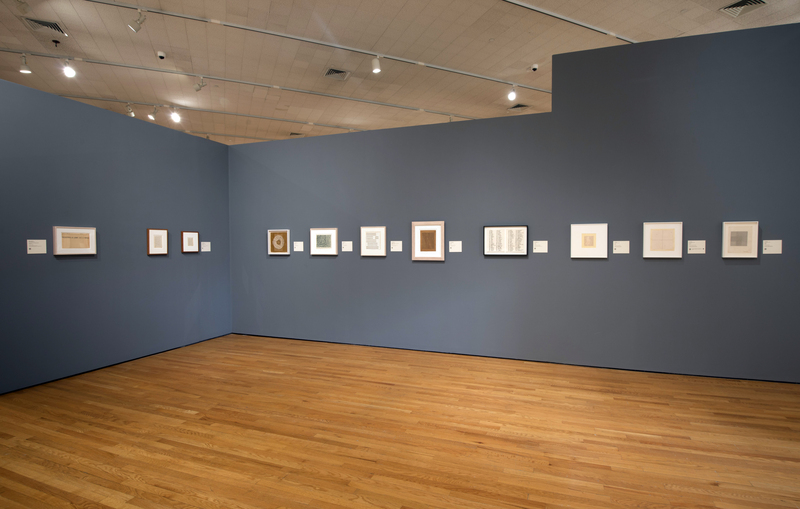 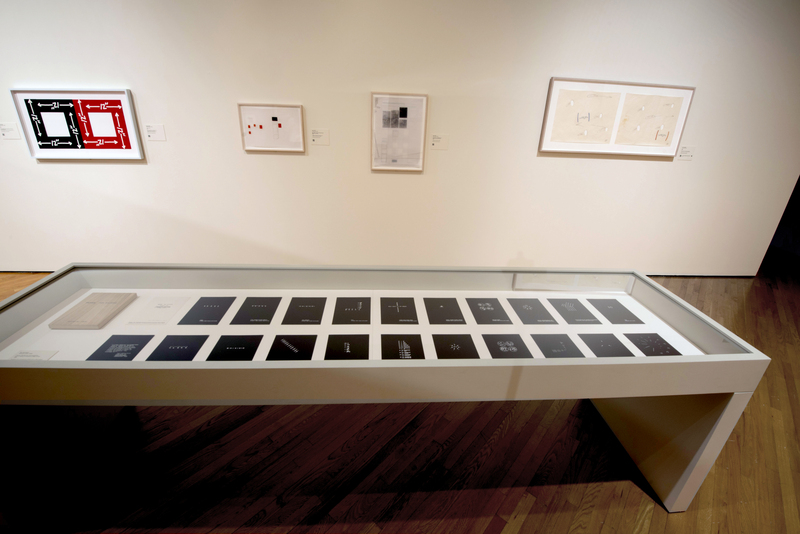 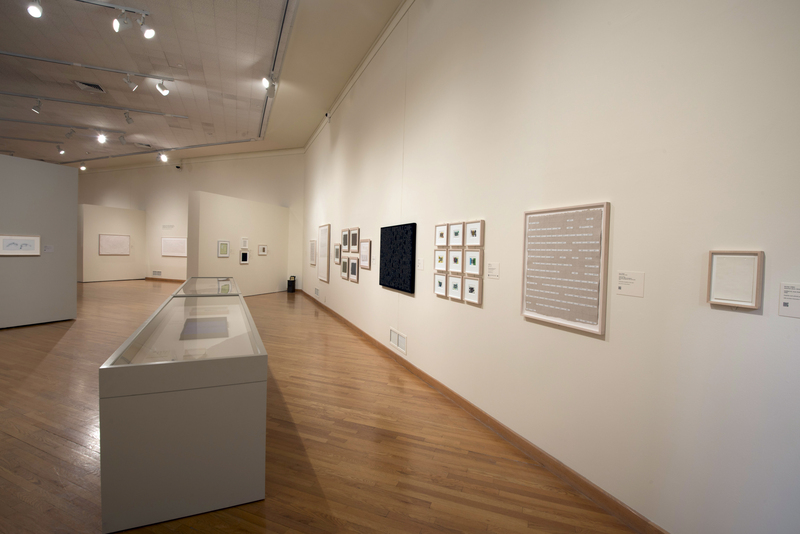 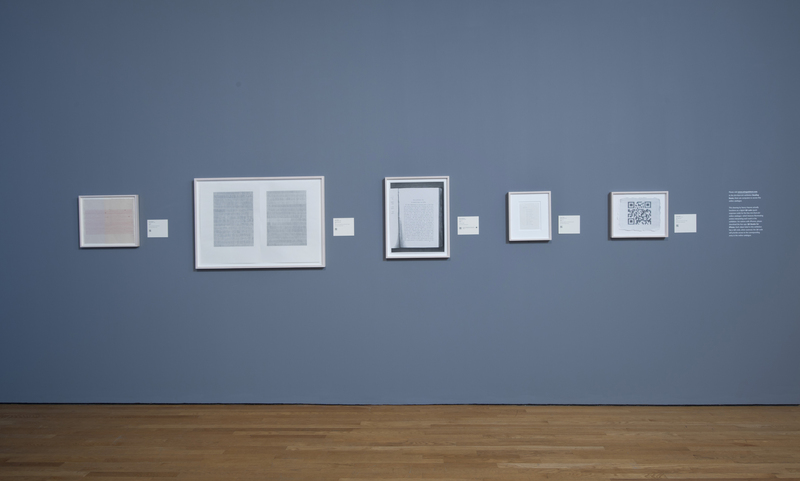 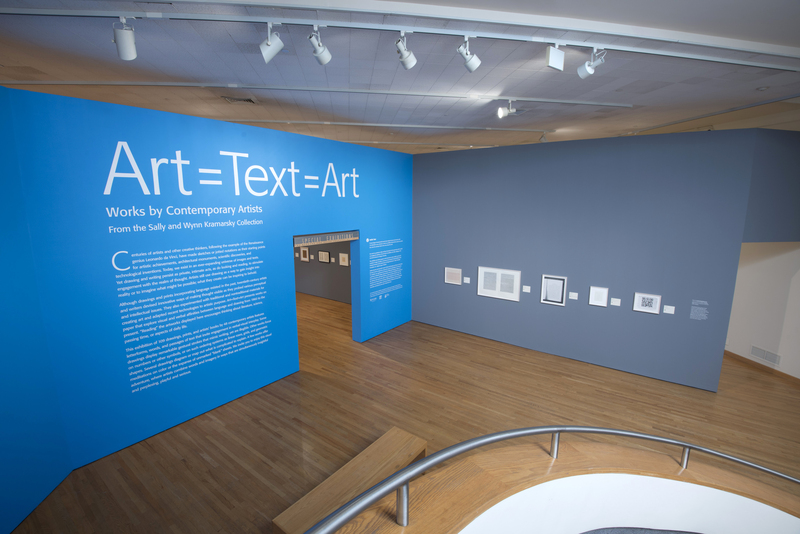 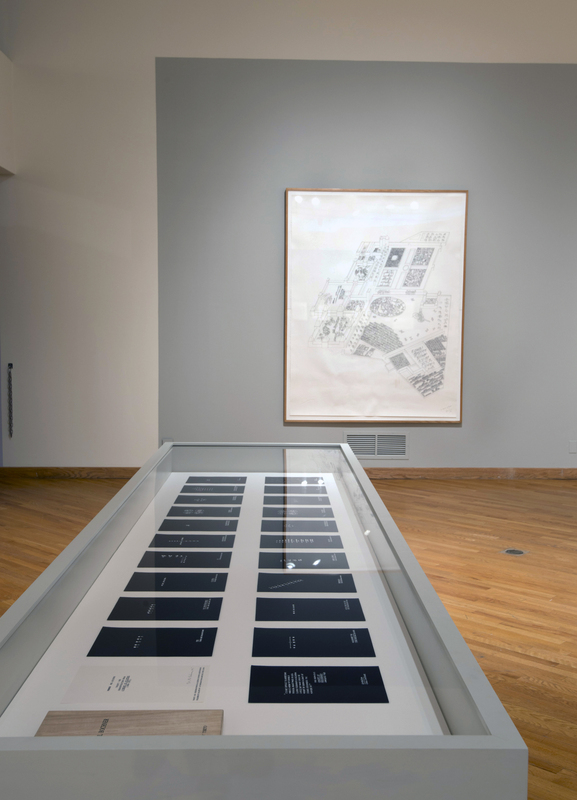 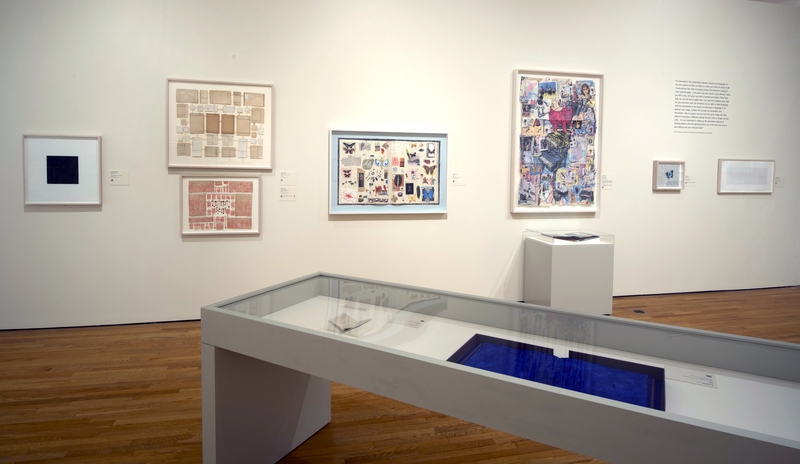 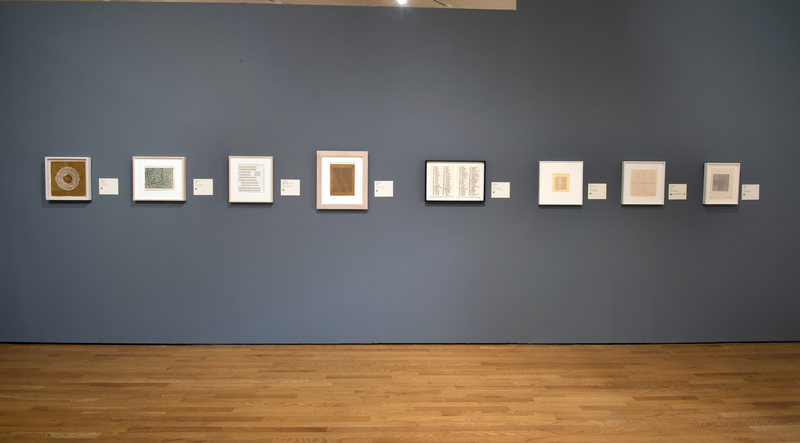 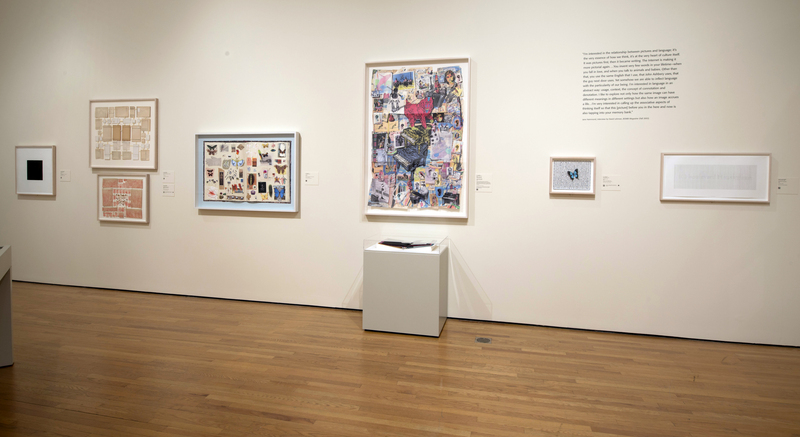 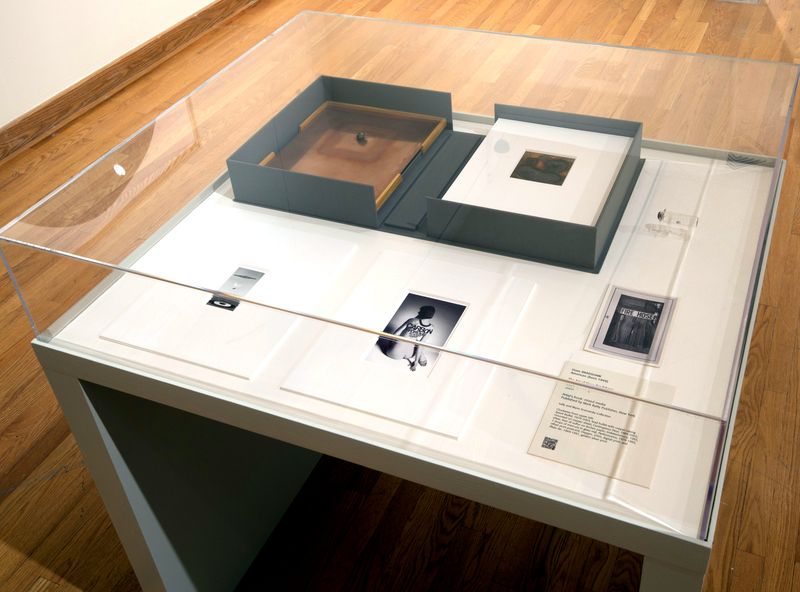 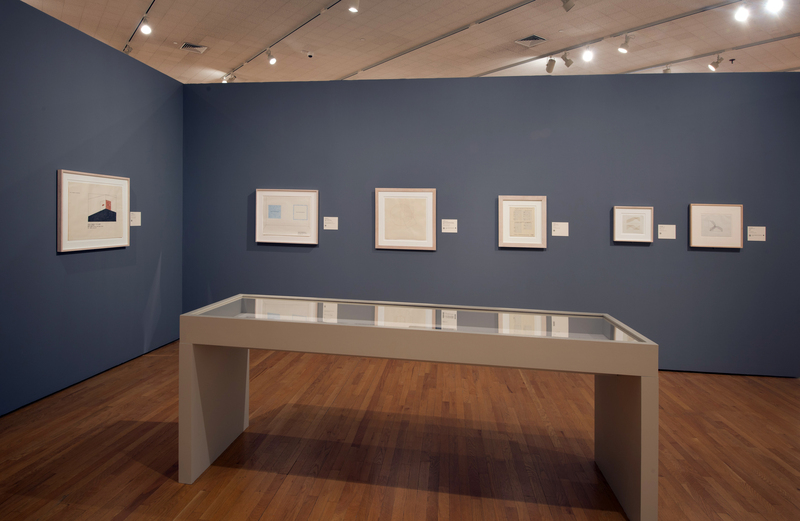 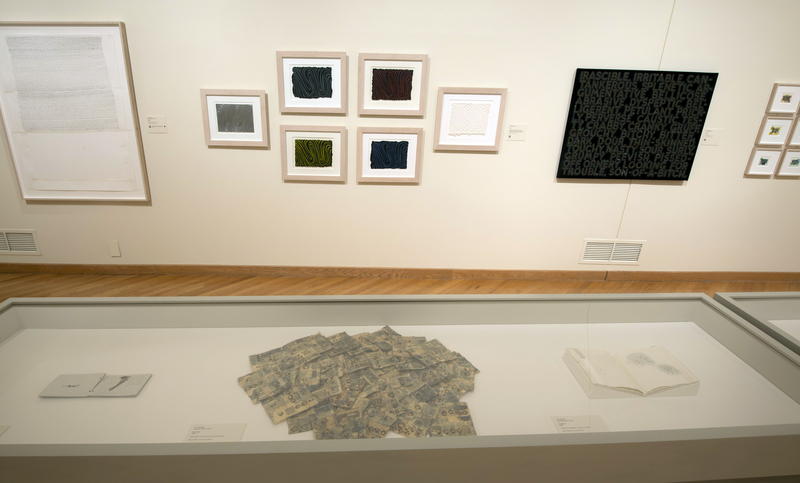 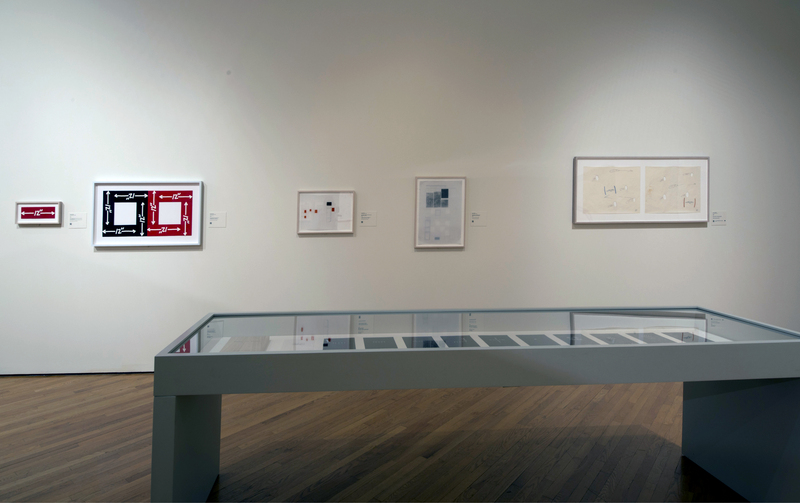 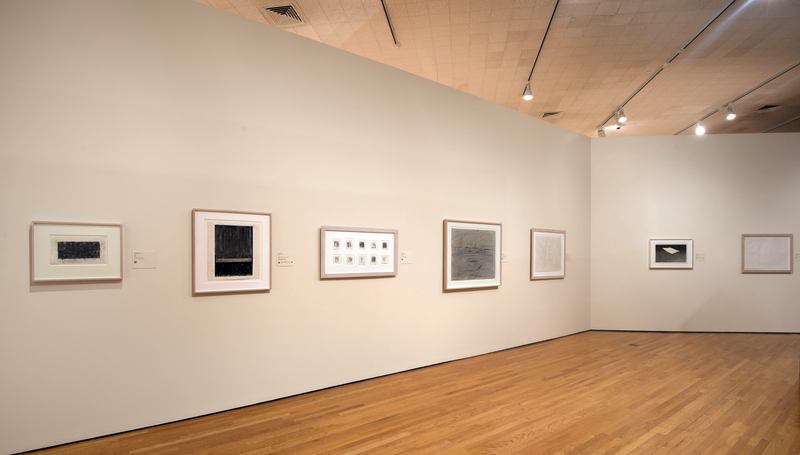 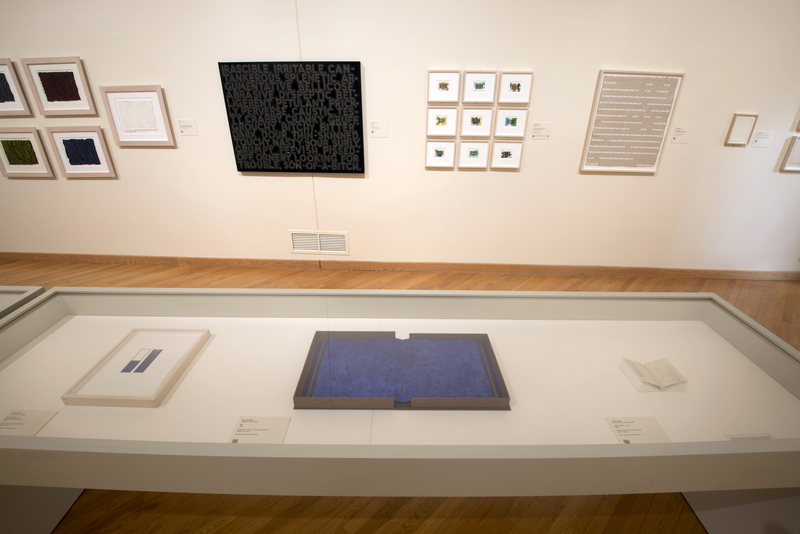 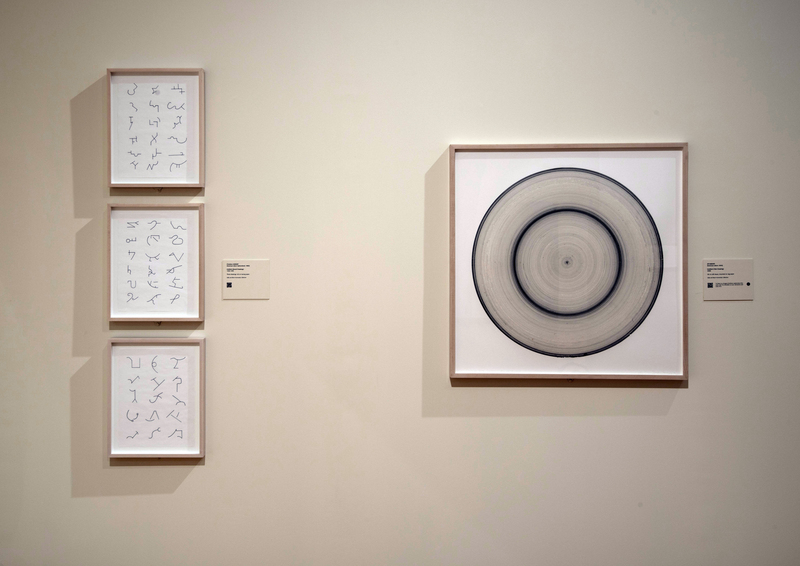 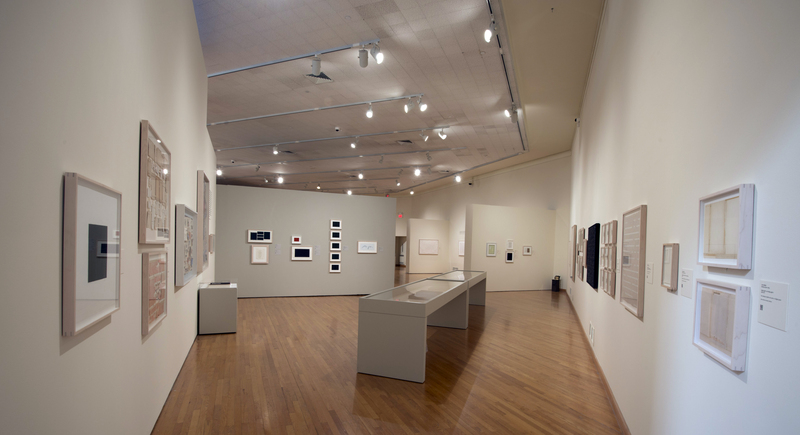 Art=Text=Art was expanded for its second installation at the Zimmerli, where it was organized by Marilyn Symmes, Director of the Museum’s Morse Research Center for Graphic Arts and Curator of Prints and Drawings. 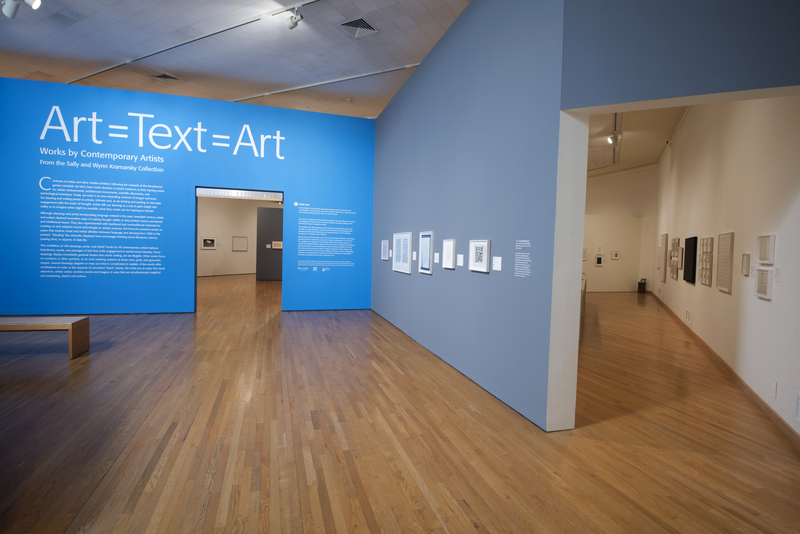 The exhibition was installed chronologically to highlight a progression in the use of text in art from the 1950s to the present. 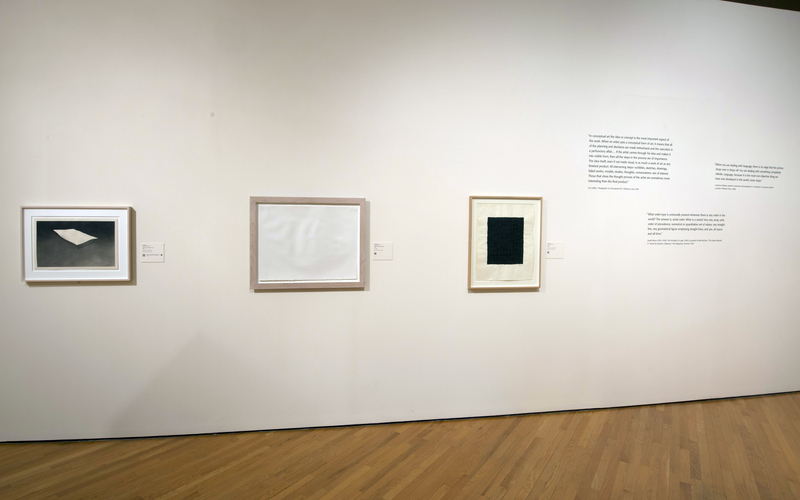 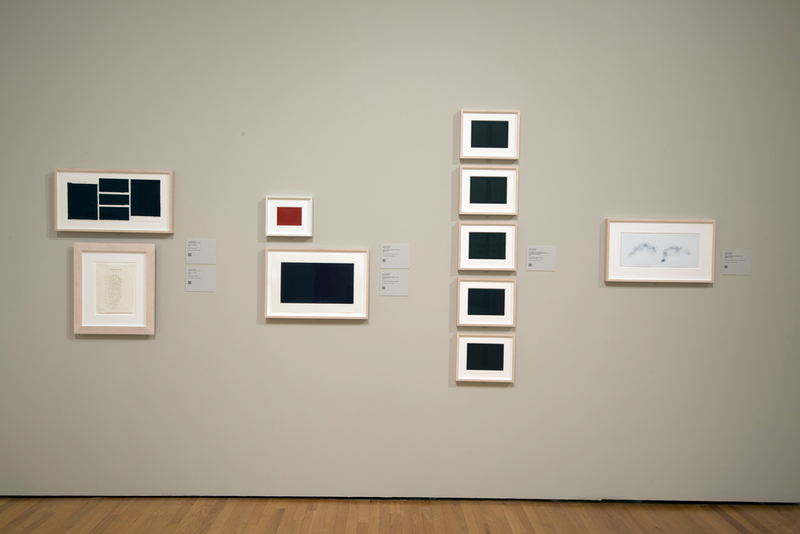 Lenders to the exhibition included The Museum of Modern Art, New York and the Yale University Art Gallery, New Haven. 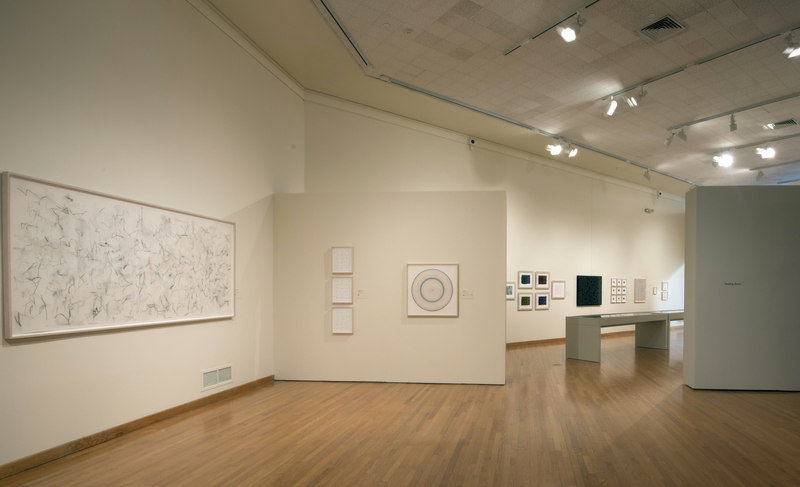 Programming for the exhibition included Making Sense of What We Sense, an interactive drawing installation by artist Rita Leduc, and Dance as Drawing: The Arts of Trisha Brown, a lecture and dance demonstration by Jeff Friedman, faculty member at the Mason Gross School of the Arts at Rutgers — both part of the Zimmerli’s Art After Hours series. 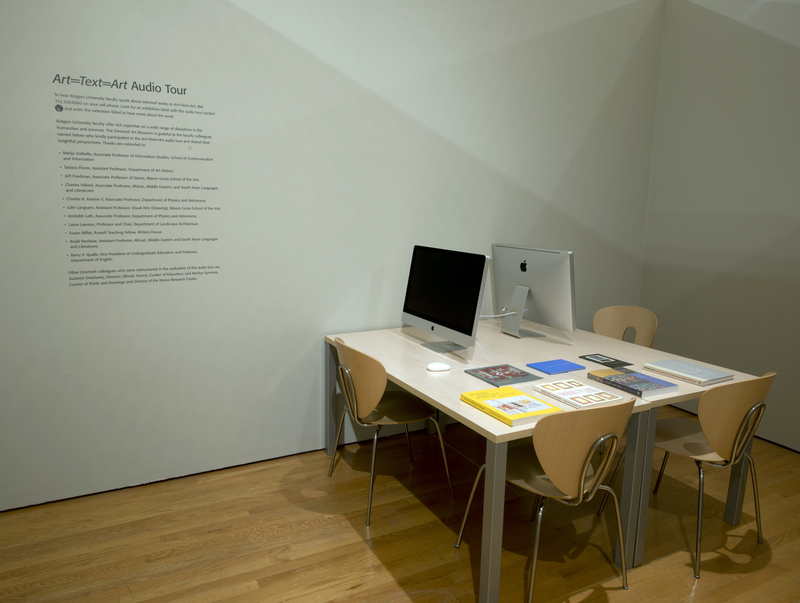 The exhibition featured an extensive audio tour with commentary contributed by Rutgers faculty members in interdisciplinary departments. 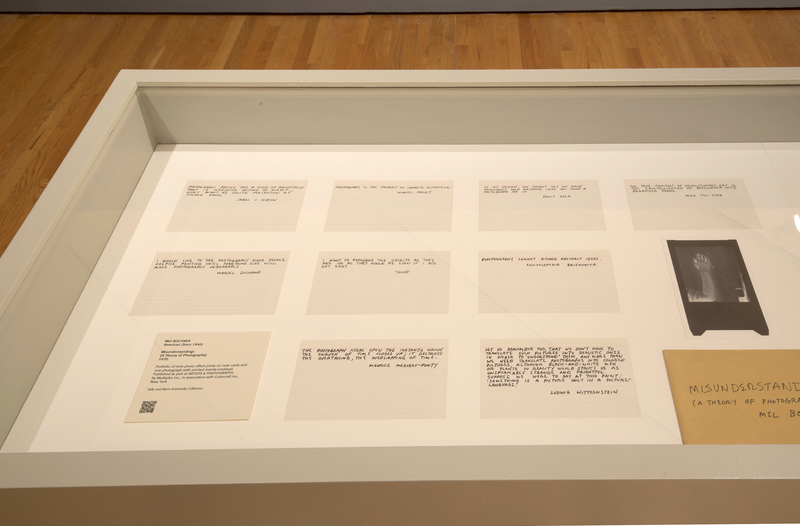 Read their commentary. 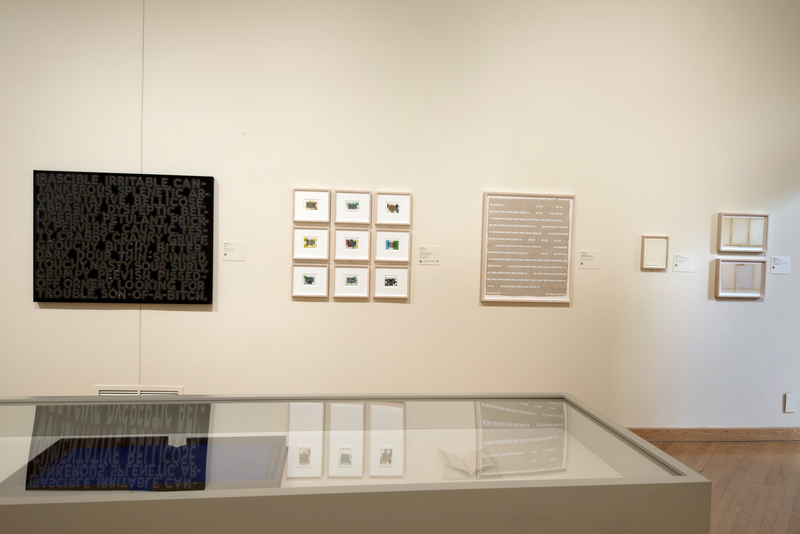 For each week of the exhibition’s run, we invited one moderator to lead an online conversation about a particular aspect of the art on display. 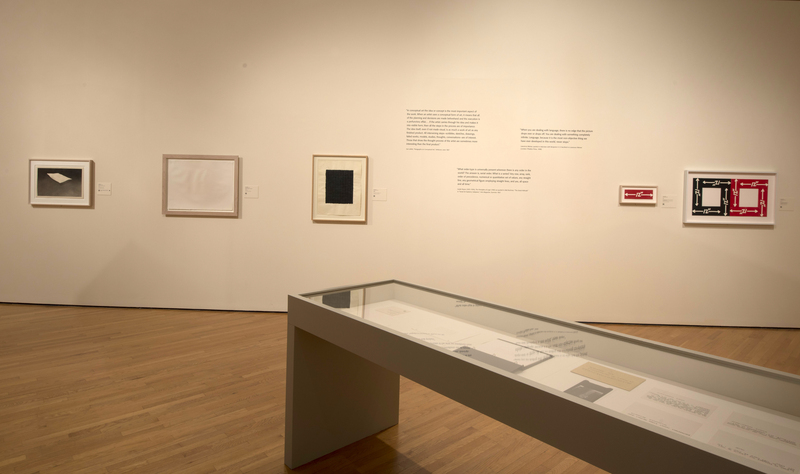 Explore these discussions. 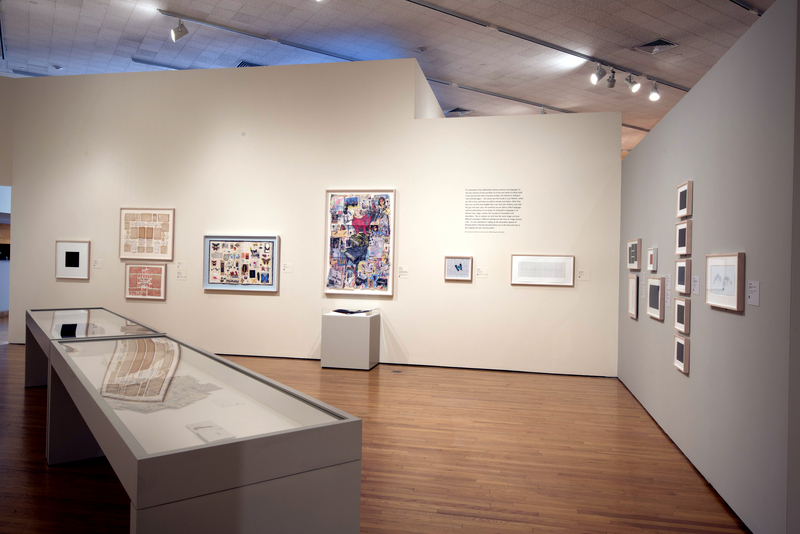 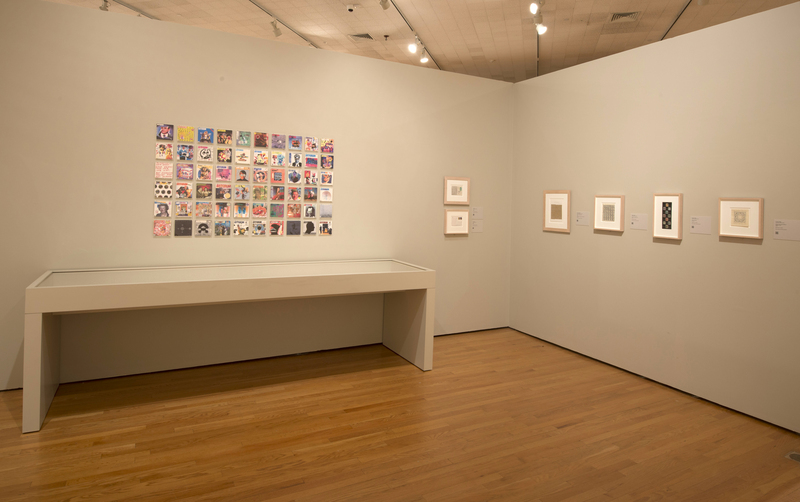 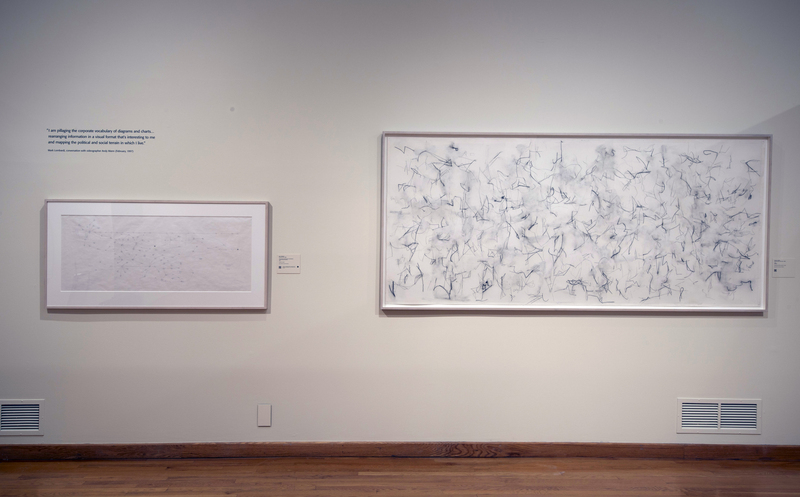 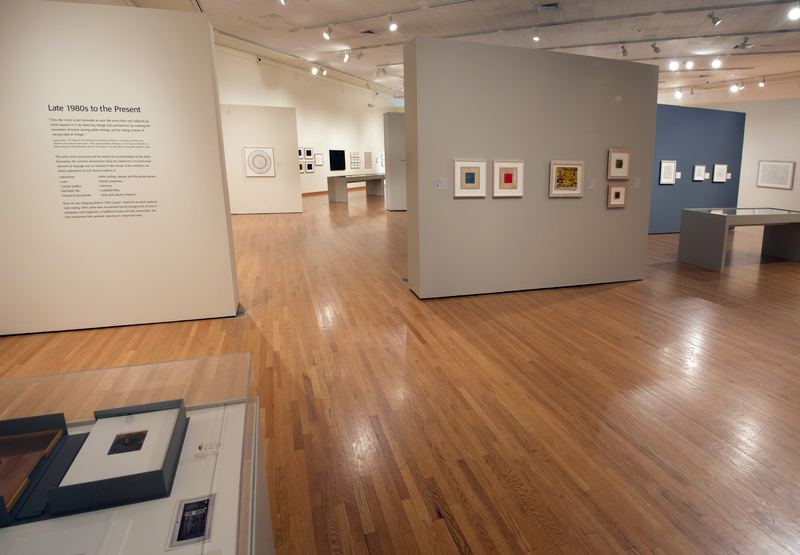 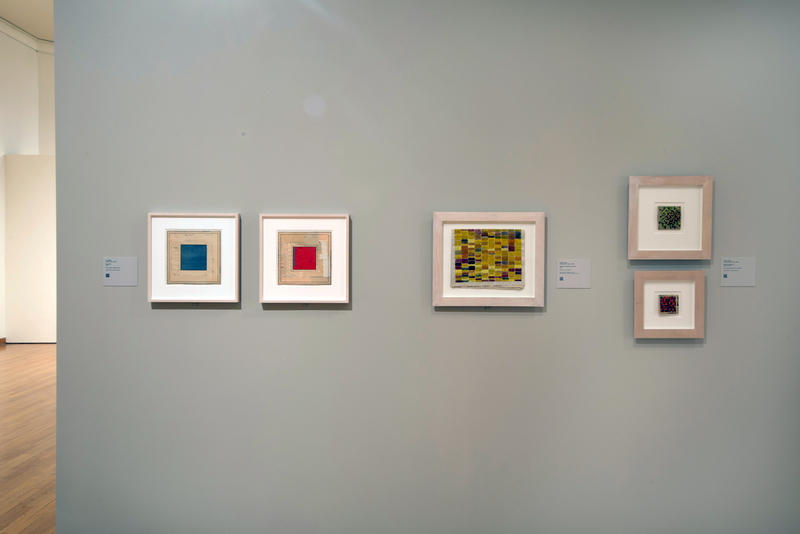 The exhibition and related programs at the Zimmerli were made possible in part by the Geraldine R. Dodge Foundation and donors to the Zimmerli’s Annual Exhibition Fund: Sustainer/ Voorhees Family Endowment; Supporter/ Jerome A. Yavitz Charitable Foundation, Inc.–Stephen Cypen, President. 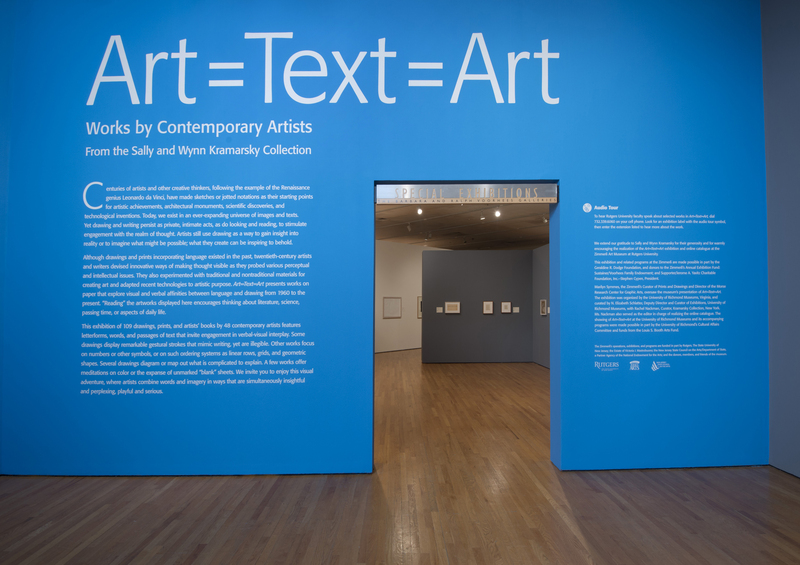 Read curator Marilyn Symmes’s introductory essay. 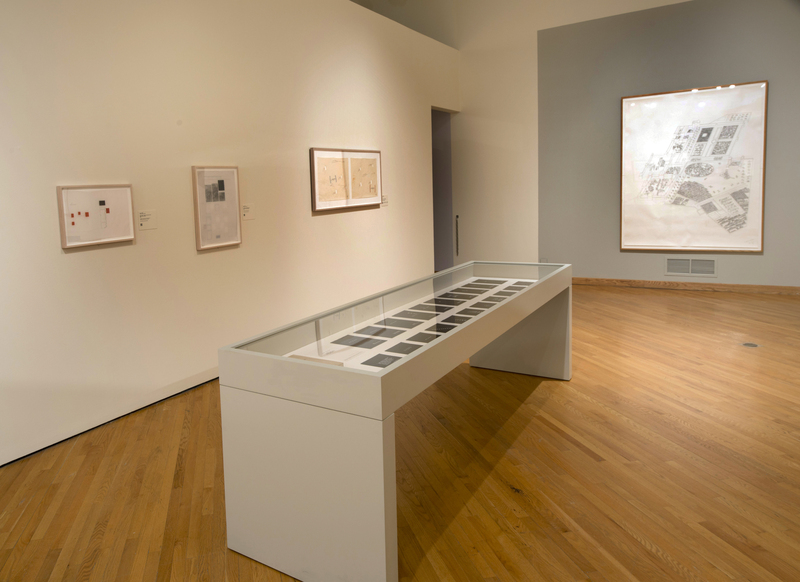 Read the exhibition foreword by director Suzanne Delehanty. 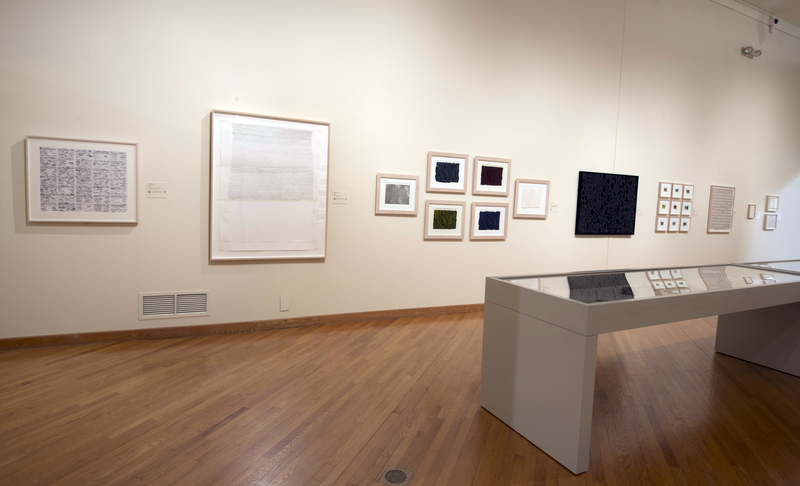 Read more about the exhibition on the Zimmerli Art Museum’s website.